I’ve never been good with a horn. 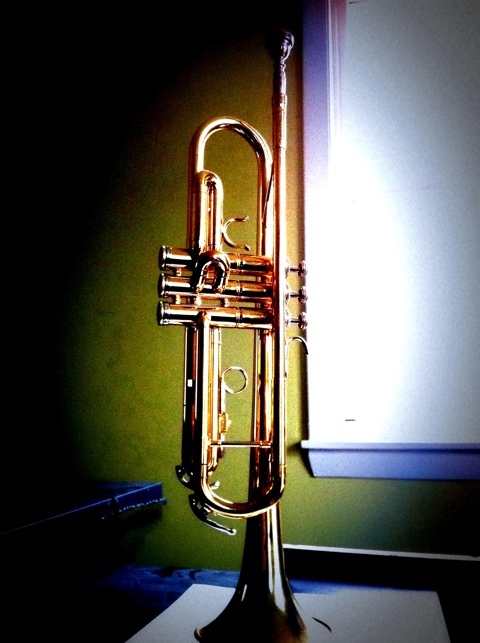 Brass instruments elude me. Maybe it’s something to do with my mouth or bad lungs. Might explain why I’m so terrible on the harmonica too. I try though. Recorded once. Massive fail. Came off like I was bayoneting an ostrich. On a totally irrelevant note, one of my heroes Edgar Wright sent me a funny tweet back. It’s great how a little sentence from somebody like Edgar can mean so much to us simple folk. It confirmed my suspicion that he’s a genuinely good guy.